Spring has finally arrived!! Which to me means....time to start thinking about my Easter look! Most of the year I don't shop for new "church clothes". I'll browse while I'm shopping or maybe buy something new for a vacation, but usually I don't set out shopping in search of dressy clothes. So every year at Easter I treat myself to something new. This is by far my very favorite look!!! 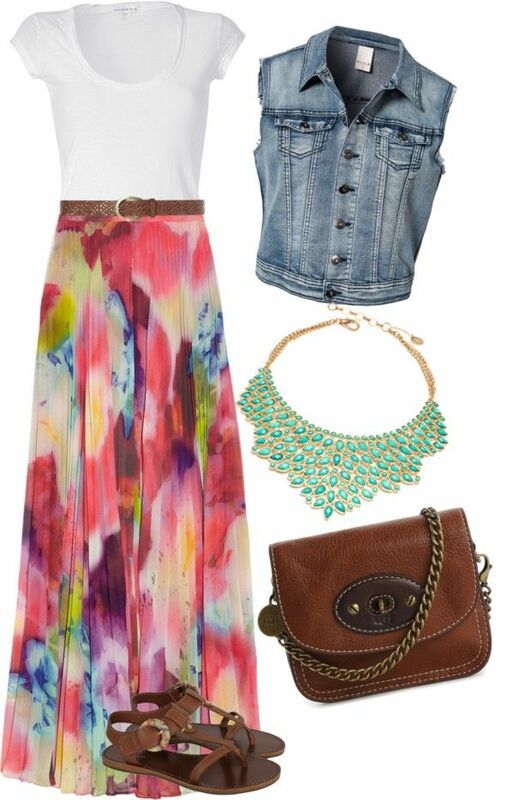 Love a cute dress with a bright statement necklace and neutral shoes! 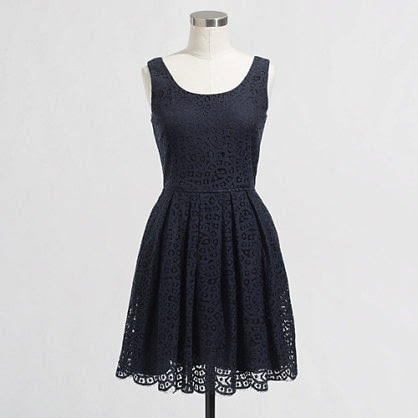 I found this cute option from J.Crew Factory and it's half off right now! The dress also comes in ivory. 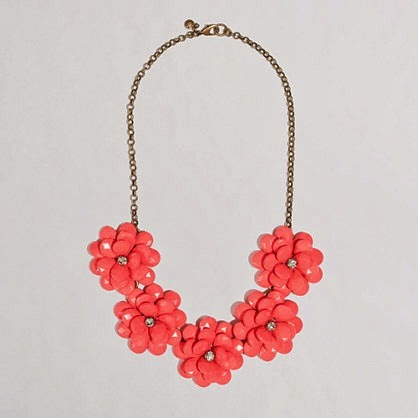 Love this statement necklace from J.Crew Factory. Or I also love this stripe option from Gap. It also comes in mint/blue stripes. 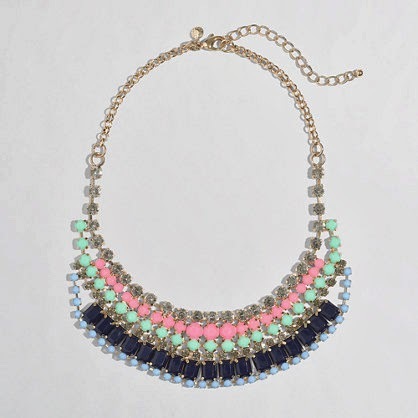 This necklace would be fabulous with that Gap dress. Both of the above dresses would look great with these wedges. Sheaffer bossed (ha!) me into purchasing these last year and I wore them A LOT!! Even though we live in Texas, Easter tends to always be a little chilly!! 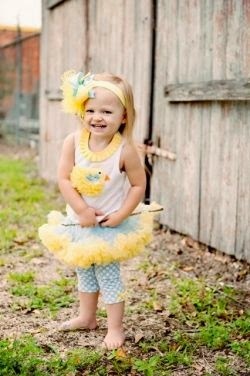 A cute dress paired with a cardigan or denim jacket would be perfect for Easter. The shoes aren't my fave, but I'm loving the bracelet! This is a cute patterned option from JC Penney. It has a REALLY cute back and is super affordable. 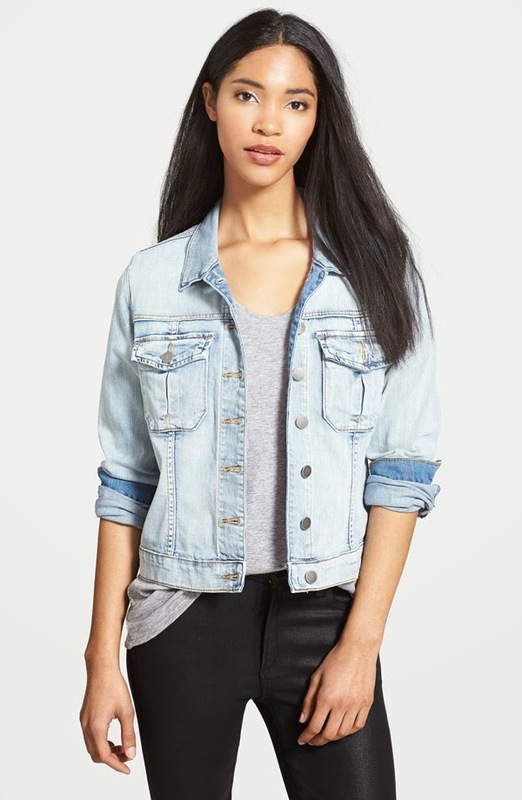 I know Easter is usually a little dressier than a normal Sunday at church, but if you were going to add a cardigan or jacket, I'd purchase something that you'll wear with lots of other things...like this denim jacket. You know I wear mine ALL THE TIME! This is definitely a more casual look for Easter. A cute tee with a bright floral maxi skirt and the denim vest (or jacket)...super cute!! 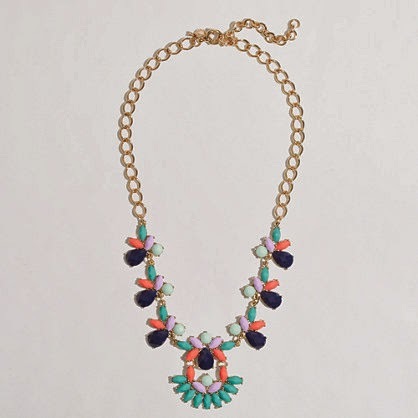 Love the bold statement necklace!! Not a fan of the shoes...look past them! ha! 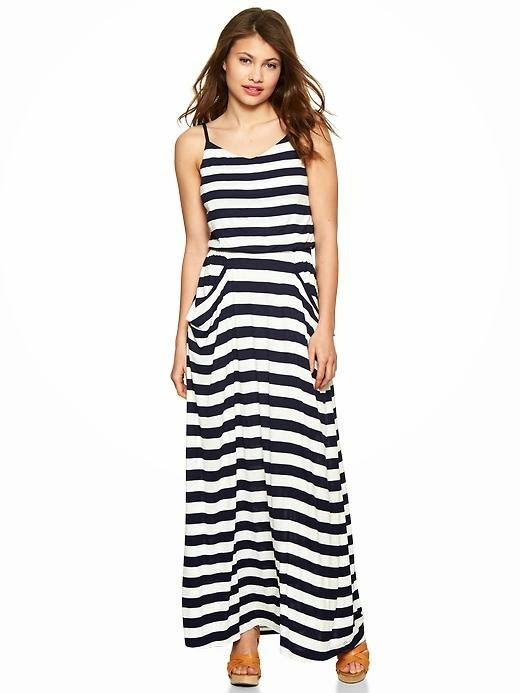 Gap maxi dress here....I had a SUPER hard time finding a cute floral maxi skirt. This would pair great with the above denim jacket on a cool Easter morning. Hope you guys found a little inspiration for Easter!!! Won't you look fabulous in all of that?!?! Happy Tuesday to YOU! I love that you have options for all kinds of weather that look great. I always feel like I have to have a back up plan for Easter just in case it is cold. Coral and teal together make my hear happy. Love the looks! I am with you...#1 is my favorite too! Thanks ladies!!! I agree! The first was my fave!! Love all the looks!!!!! 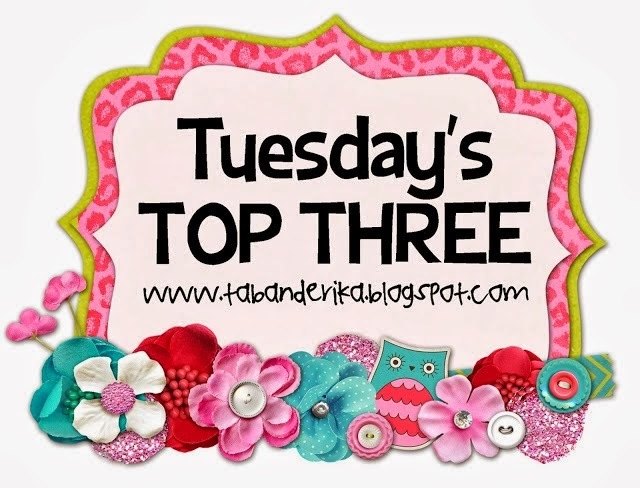 Great little round up!